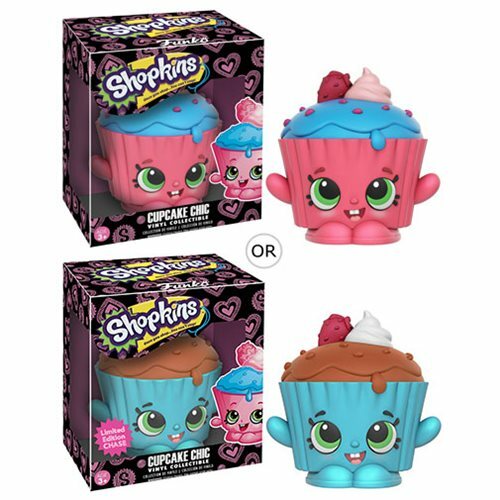 Shopping for Shopkins Vinyl Figures? From Funko and Moose Toys come Shopkins vinyl figures! Each adorable character comes in a window display box so you can see all the delicious details. This Shopkins Cupcake Chic Vinyl Figure measures approximately 3-inches tall. Ages 3 and up.